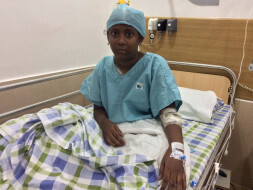 15-year-old Nandini is suffering from blood cancer. She was diagnosed with cancer only a few days ago. She had to quit school due to this. Her parents are financially not stable and has been struggling to keep her treatment on. 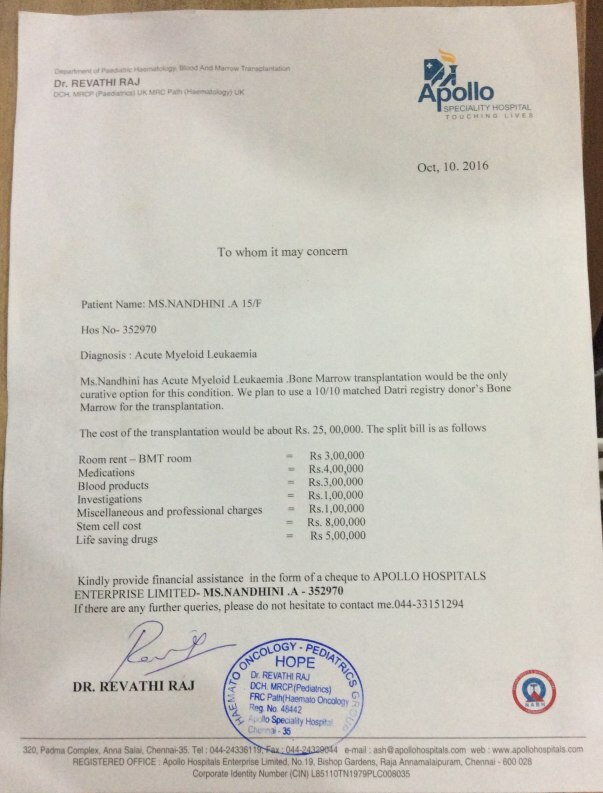 Nandini has been asked to undergo a bone marrow transplant. Since doctors could not find a matching donor, they are in search for an unrelated donor. The transplant is scheduled in the coming months. 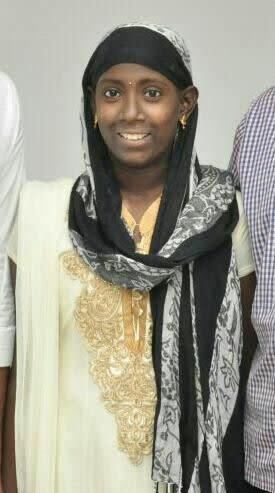 Nandini's father, Arumugam,is seeking generous help from you to save his daughter. We are happy to inform you that Nandhini found an unrelated donor from Delhi and successfully underwent her bone marrow transplant. She has been discharged from the hospital post-surgery and is currently under medication. Nandhini hopes to pursue her education next academic year. She is currently under recovery phase which includes weekly check-ups and medications. Nandini is excited to continue her education. She is sending a heartfelt thank you to all of you who made this happen.